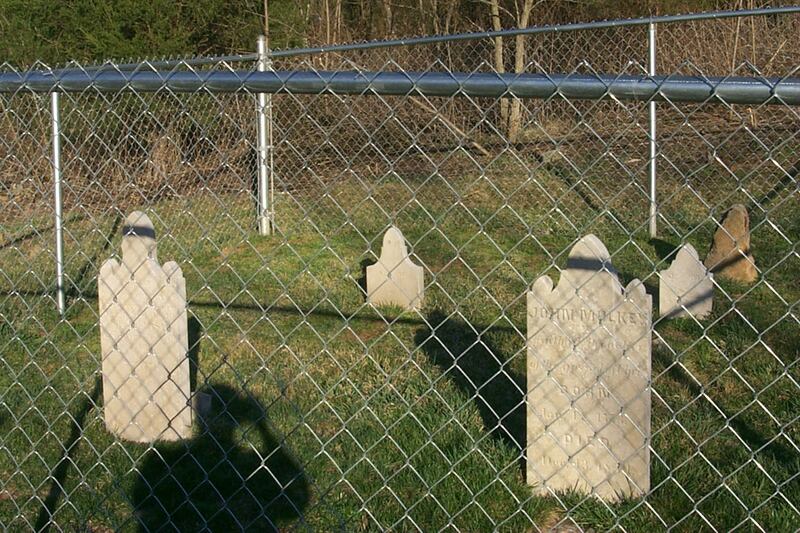 Tompkinsville, KY., MARCH 5TH, 1845. 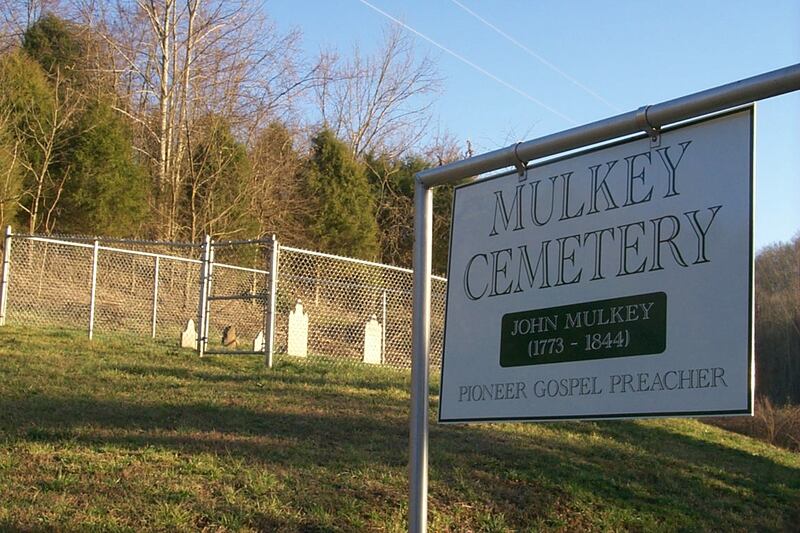 John Mulkey was descended from a preacher's family. His grandfather, Philip Mulkey, was a Baptist preacher, of respectable talent, in the Meherrin Association, so early as the year. 1756. Semple's H. Va. B. p. 222. 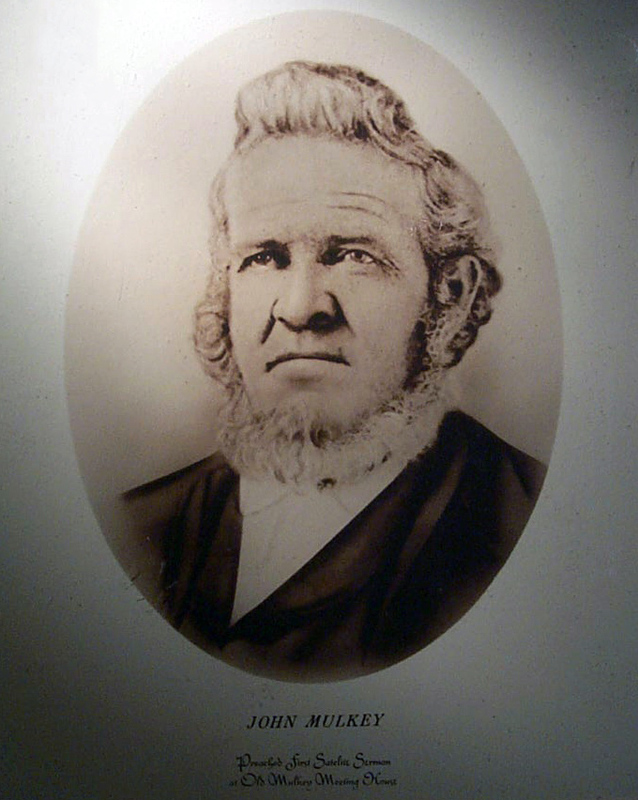 Philip Mulkey's son Jonathan became a preacher, perhaps in South Carolina; but finally located in E. Tennessee, and soon distinguished himself as one of the most eloquent, pious and virtuous Baptist preachers in the State. Three of his sons became preachers! and he was blessed with the singular happiness of being associated, in his old age, in preaching, with his Father and his own son John, in the same pulpit, and on the same day. Will the Christian Journal please copy this? —Christian Review, Vol.II, no.5 May, 1845,p.120 / Also, Millennial Harbinger, Vol. 2 No. 8, August, 1845, page 380. For more explanation see The Mulkey Meeting House page. DEAR FATHER:—It is with a sad heart I write these lines to you at this time. I could write to others of the family all I would write to you, but as I am deprived of sitting by you and talking with you of the sufferings and conflicts of this life, and of the bright hope beyond, I wish to write to you. I have many things I would like to say to you. The first and most important of ail is. that i thank you from the bottom of my heart for the manner in which I was brought up; for the Christian influence which you exerted over me in my earliest days, and for your encouraging me to fidelity. How often have I thanked God that I was blessed with such a father and mother! Who could tell what I might have been had I not been so blessed? It encourages me to exert a Christian influence over my own children. They may see the folly of their way and turn to God, who will abundantly pardon. You cannot know how much I wish to be with you, and especially now, that I might help wait on you, and in some measure return the kindness which you have so often bestowed on me. But alas! Many miles stretch between my willing hands and your suffering frame. I know you will be well cared for; you have those around you that will not forsake you, that cannot forget you; and therefore I will try to submit to my lot in this distress and in all others. We have much in this life that is hard to bear, but it is short—it will soon be over—and then, if faithful, we shall enter into that blissful eternity where the weary are at rest. 'Tis for us a joy forever?" 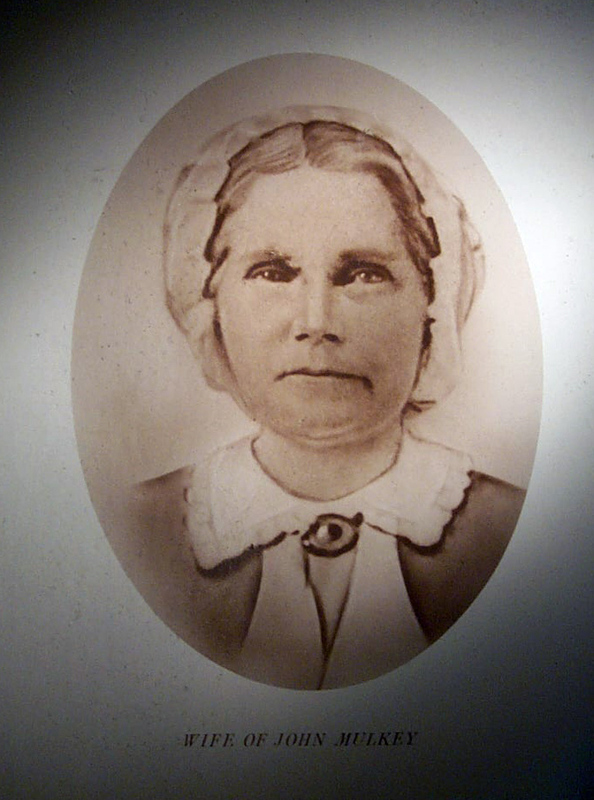 Shubel Stearns (1701-1771), a George Whitefield convert during the 1st Great Awakening in New England moved from Okehon, Virginia to Sandy Creek, Guilford County, North Carolina. He founded Sandy Creek Baptist Church, a Separate Baptist Church. The church became the mother church of Southern Baptist Churches in America. One of Stearns’ early converts Joseph Breed became his associate minister, and was the maternal great-grandfather of John Mulkey. Another convert was Breed’s son-in-law, Philip Mulkey. Philip Mulkey became an ordained minister of the Deep River Baptist Church. JM began preaching among the Baptist in his 20th year. (Millennial Harbinger, 1845, p.380) He was one of three brothers who preached. A small church building is built for the Separate Baptists at Mill Creek. Mill Creek Baptist Church records show a committee of seven men were appointed to erect a new church building. John Wood, Nathan Breed, James Harlin, Ephriam Ellis, Francis Baxter, Joseph Gist, and Thomas Sullivan were named to the committee. Built the Mill Creek Baptist church meetinghouse. Now called Mulkey Meetinghouse. 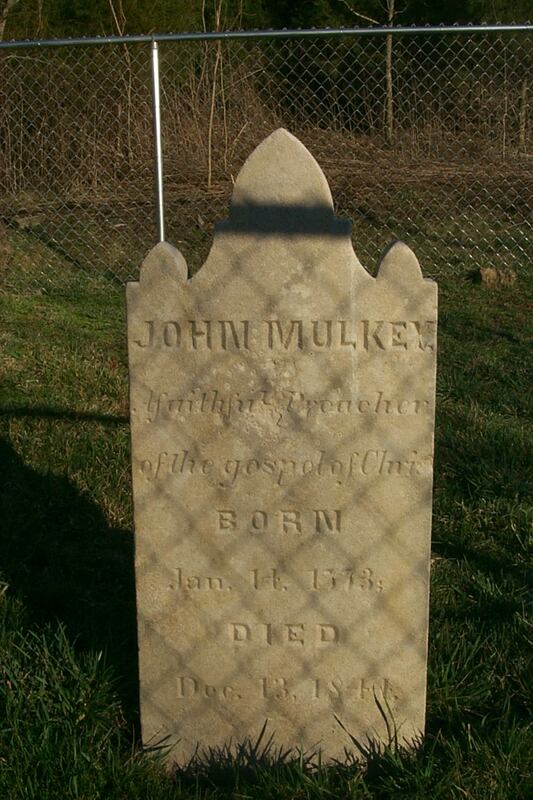 John Newton Mulkey was born two miles east of Tompkinsville, Ky. And was baptized in early life by Samuel DeWhitt. (Recollections of Men of Faith, Isaac T. Reneau, p.226). JM attends a heresy meeting of the Stockton Valley Baptist Association. He was found innocent, but five other congregations of the Baptist church are called upon to try JM for heresy. Trial was set for the following October. Stockton Valley Baptist Association trial of JM. He made his appeal to take the Bible alone as only standard. The proposition was made that “all that justify Bro. Mulkey to raise their right hands.” The majority was in favor, so a new trial was set for second Saturday in November. Third Saturday in November - It was at this meeting that JM told the group he would exit through one door, and all who would follow him out would assert to the Bible alone for Bible authority) Estimated that 150 of the 200 members walked out the western door with JM. The 50 left in the building departed and organized the Baptist Church in Tompkinsville, that continues to this day. Soon after the 1810 visit with Thomas, JM makes a trip to Cane Ridge to meet B.W. Stone. Preaches there and at Old Concord. John Rogers wrote of being impressed with Mulkey as an orator. “He had a splendid voice, and sang, and preached, and prayed most admirable.” (John Rogers, Recollection of Men of Faith, by William C. Rogers, page 186.) It is suggested by some that Joseph Thomas assisted strongly in cementing the movement of JM and BW Stone. JM moved to McMinn County in lower East Tennessee. Continued to evangelize, often traveling far and wide to preach the gospel. Philip moved to southern Illinois and founds Mulkeytown. As founding father for the town, he was also the planter of Restoration in that part of the state. JM in his 68th year goes with a young Allen Kendrick to Fayette, Jefferson County, Mississippi to preach. He baptizes several, including a young T.W. Caskey. (B.F. Manire, Churches of Christ, “Mississippi,” p.255). Caskey reports this to John R. Howard, editor of the Bible Advocate. January 4, 1847. (Bible Advocate, February 1847, page 28). Decline in health prevents JM from traveling to preach. John Newton Mulkey, along with Sandy E. Jones preached a meeting in Tompkinsville. 132 made the good confession and were baptized. (Recollections of Men Of Faith, Isaac T. Reneau, p.214.) The church is established in Tompkinsville. “surrounded by a wife, children, grandchildren, brethren, and weeping friends, he calmly fell asleep in Jesus, December 13, 1844, 15 minutes before 1 o’clock A. M. Father Mulkey delivered, in 51 years, upwards of ten thousand discourses himself, and left two sons eminent preachers, and a grand-son just commencing.” (Isaac Reneau, Millennial Harbinger, 1845, p.370) It was estimated that he preached nearly 10,000 sermons and baptized as many in his 51 years of preaching. This was similarly said of his son, John Newton Mulkey. 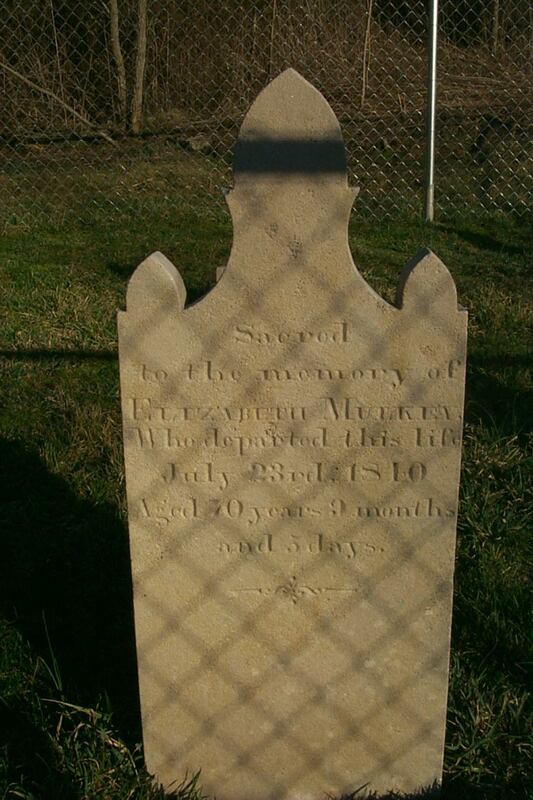 Philip Mulkey, brother of JM died in Mulkeytown, Illinois and is buried in Old Mulkeytown Cemetery. From Knoxville: Travel on I-40 to Cookeville Exit #288. This will be highway 111 & 42. Head north toward Livingston, Tennessee. Go about 20 miles, and as you enter Livingston, Hwy 42 will turn left and by-pass downtown. Go a couple miles on the by-pass and turn left on Hwy 52 heading toward Celina. Travel 18 miles and follow the Hwy 52 signs all the way through Celina (goes through the downtown area). From Celina travel 8.5 miles crossing the Cumberland River toward Moss. As you pass through Moss the road will fork. Hwy 52 goes back to the left and Hwy 53 goes straight ahead. Go straight on Hwy 53 heading north 1.9 mile to the Kentucky State Line. Continue another 3.2 miles into Kentucky on what has now become Hwy 163. (Hwy 53 in Tennessee = Hwy 163 in Kentucky). Then turn right on Hwy 216. At this point you are 6.7 miles from the graves. When you have passed Hestand Church of Christ on the left you still are 3 miles away. You will be traveling through a valley and will see the entrance next to a small creek bed on your left. The entrance will be in the form of a triangle with trees growing in the middle. Go 100 feet up the little pig trail that goes up by the creek bed and the sign and chain-linked fenced-in cemetery is on your right. From Nashville: I-65 cross over into Kentucky and take the second exit which should be the Franklin exit. At the exit turn right on Hwy 100. The road has some pretty rough turns but after 60 miles you will come into Tompkinsville. Off Hwy 100 turn south on Hwy 163. Travel 5.4 miles just past the Germany Church of Christ and turn left on Hwy 216, then 6.7 mile on your left. See more details above.